Mondo Tees has release their final two posters for for 2011. 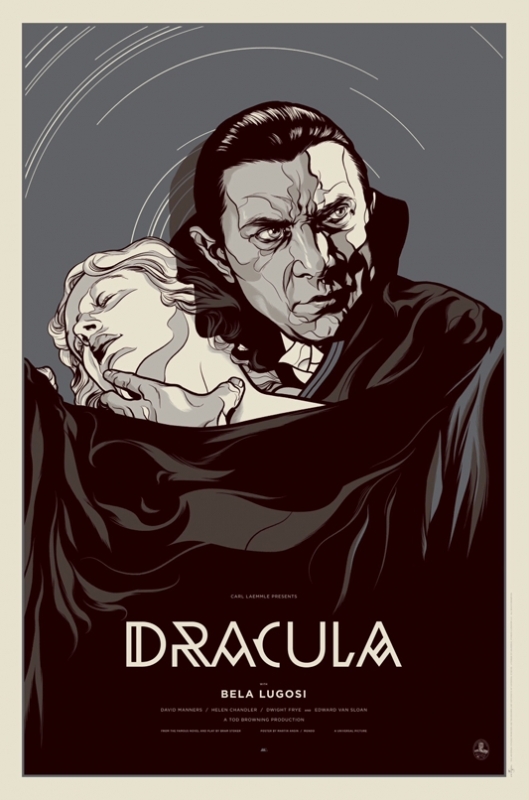 We've got a great 1931 Dracula movie poster created by Martin Ansin, which is part of Mondo's classic Universal Monster series. 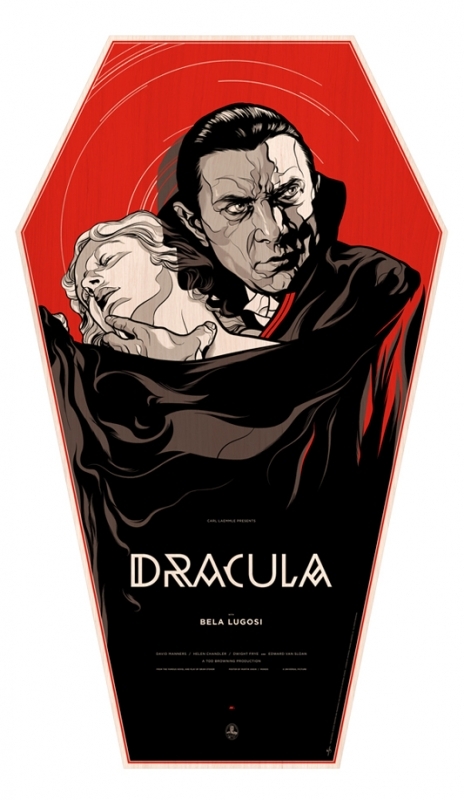 The poster not only has a variant, but it also has a limited addition piece done on wood and shaped like a coffin! 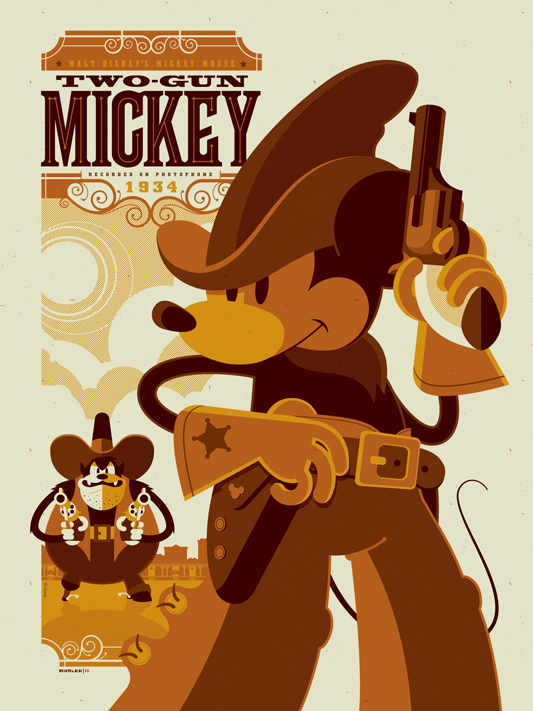 The other poster released comes from artist Tom Whalan and is called Two Gun Mickey. Check out the posters below and tell us what you think! The posters are set to go on sale Friday December 30th 2011 at a random time. Follow @MondoNews for the info.